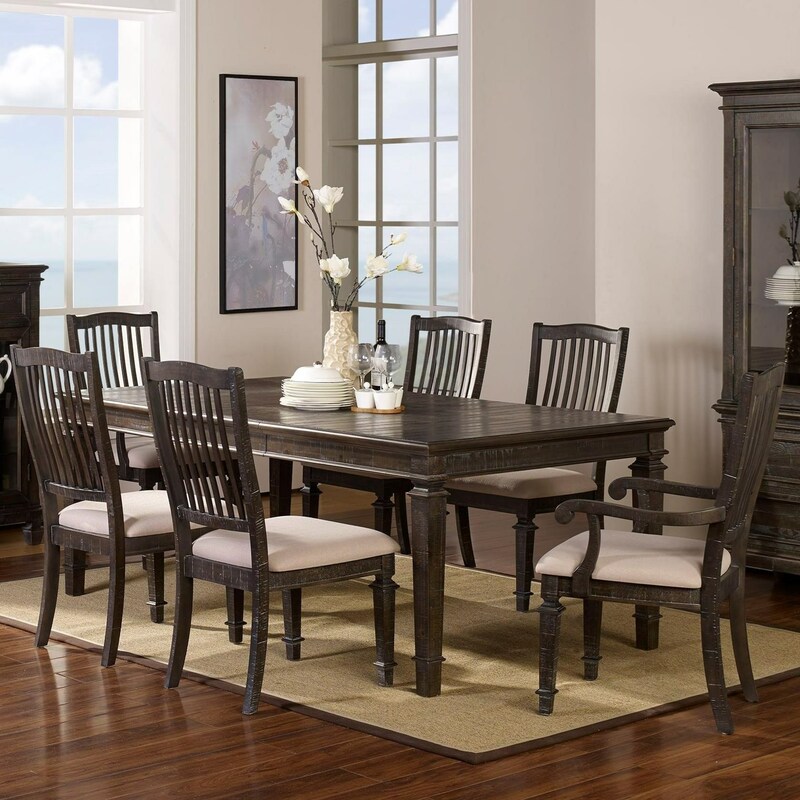 Turn your dining room into a beloved gathering space with this seven piece table and chair set. Classic style elements combine with a distressed finish to create a uniquely elegant look that still manages to feel warm and inviting. 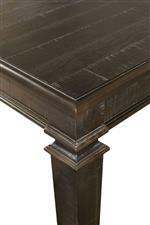 The included 18" table leaf allows you to adjust the amount of seating space that you can offer to family and guests. Three side chairs and two arm chairs with upholstered seats provide plenty of comfortable seating for you and whoever you choose to share a meal and your time with. The Cadiz Dining 7 Piece Table and Chair Set by New Classic at Michael's Furniture Warehouse in the San Fernando & Los Angeles area. Product availability may vary. Contact us for the most current availability on this product. 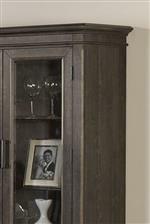 Give your home the timeless look you have been looking for with a selection from this collection. Featuring classic design elements with a more contemporary finish color and a touch of a lived in rustic detailing, this unique collection offers traditional dignity without feeling too removed from modern sensibilities. Features like USB charging ports, velvet lined top drawers, and an 18" table leaf ensure that your furniture is as functional as it is stylish. Whether you are looking to complete your dream bedroom, or create a gathering space for friends and family in your dining room this collection will have something for you. The Cadiz Dining collection is a great option if you are looking for Transitional furniture in the San Fernando & Los Angeles area. 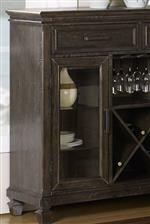 Browse other items in the Cadiz Dining collection from Michael's Furniture Warehouse in the San Fernando & Los Angeles area.